When remodeling a room, balance is key to establishing a welcoming and stylish environment. Color and shading are some of the most important pieces to this puzzle. Walls should be painted a color that invites the occupant, while also complementing the rest of the room. Pairing the furniture with the color of the walls is one of the most common paths taken to establish a balance. However, one aspect that should always be paired with the color of the walls is the color of the floor, particularly if the room is outfitted with a hardwood floor. Hardwood floors are elegant and durable, which make them great additions to a room. During a remodel, if the room has hardwood floors, it’s a good idea to pair the paint of the walls with the flooring. This provides a highly-sought after appearance that will make your room a great centerpiece. 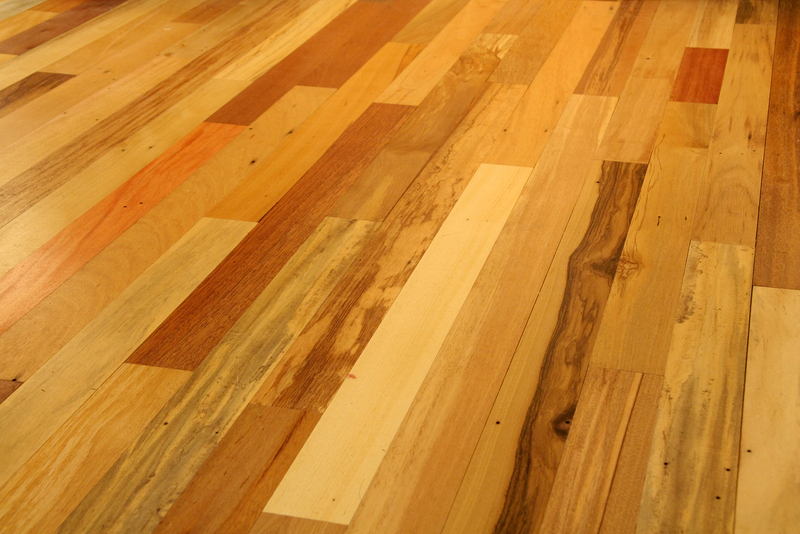 Below is a list of popular hardwood flooring, and the colors that often go well with them. Remember, this is just a general list, and you should paint your home in a way that is satisfying to you. Depending on where your pine was sourced from, the shading of your floor may differ in its shades. Generally, it will be a white or yellowish color, and can be stained to have some very appealing colors. It is not the best material for flooring, but, paired correctly, it can look great. With pine, it is probably best to keep it simple. Avoid vastly contrasting colors. Choose a lighter color, such as off-white or very light green. You really don’t want to be stark with colors here; neutral is likely the best. There are some very appealing varieties of blue or gray that may go well here. White oak is like a blank canvas; it’s sturdy, but the color is fairly plain. In order to avoid redundancy and a lack of warmth, adding color to walls with white oak flooring can be very appealing. Solid, darker colors will go well with white oak. You can even play around with the color of the trim to accentuate the room even more. Unlike the white oak, red oak flooring already has some warmth and color. You can play off of this color really successfully. A lot of colors go well with this type of flooring, so you can base the color off of what matches the furnishings as well. Most colors, dark or light, can pair quite well with red oak. Maple holds stain quite nicely, and is a lighter-shaded wood. It is important to experiment with the flooring you have, but you can treat maple’s pairing quite similarly to white oak. Play off of the light color of the wood, and you’ll have an inviting room. Hardwood floors are great focal points in any room, and pairing them with an appealing paint shade only adds to their appeal.